I recently had my car towed by the City because my tags were expired – not a ticket, towed. This towing happened on a Saturday and, because I needed to get clearance from the DMV and the department of transportation, I was not able to get my car released until Monday. Because there were three days of impound fees the whole affair ended up costing me 324 dollars. My car was parked in front of a church when it was towed. Where were my angels? Where are our angels? LA is now ruled it seems by the City of LA Parking Enforcement division. Every neighborhood is now blanketed by parking signs with a wide and confusing variety of restrictions. There is also an omnipresent battalion of Parking Enforcement personnel ready to hit “ticket” the moment an infraction arises. The City, in severe deficit mode, now engages in extreme measures it seems to get its revenue fix. We can take back the streets with bikes and buses – maybe the City is actually doing us a favor by making it nearly impossible to have a car here. But we also need to regain our power by putting an end to this Saturday tow job business. Government by the people and for the people. How does holding cars hostage over the weekend benefit the people? 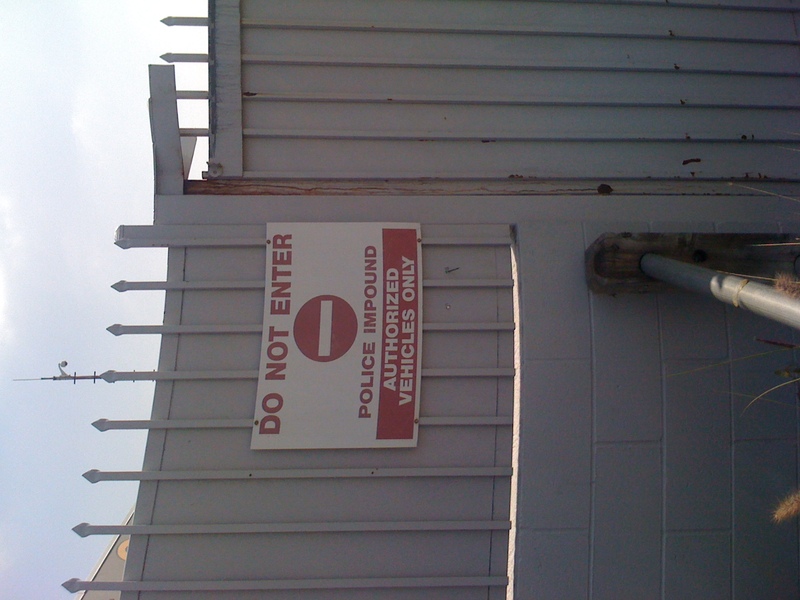 By raising revenue for impound lots? Please tell me your LA Parking Enforcement nightmare tale as I am collecting them and plan to discuss with Bill Rosendahl. LA has movement issues. I have had some surreal traffic experiences in my thirty years here, not surreal in a good way…I am not talking Dali existentialist stuff…more “I want to pull my hair out and gouge out my eyes” kind of surreal.